From boardrooms to boutiques, homes to hotels, the IC-DIN-II-LITE controller offers a solution that delivers a no-compromise approach to simplifying complex automation challenges. The IC-DIN-II-LITE provides a scalable future-ready system with unique user interface experiences. All delivered through a single software design and programming tool to help translate vision into reality. The IC-DIN-II-LITE solution allows Vantage dealers to offer a very cost competitive, entry level solution to specific applications. The IC-DIN-II-LITE is designed with a fast processor, two RS-232 ports, memory capacity to support complex automation challenges, built-in Ethernet jack, and USB port. 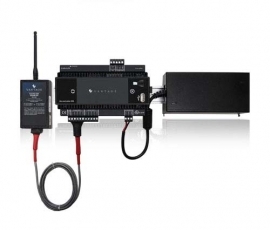 One InFusion Controller DIN-II-LITE supports up to 20 WireLink stations or 16 EQ40s and up to 60 RadioLink stations. 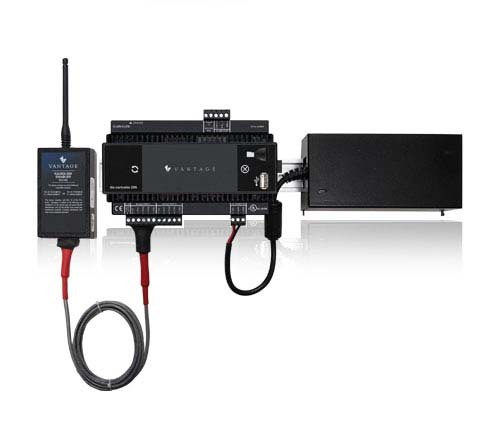 It is designed to easily install on standard 35mm DIN rail.